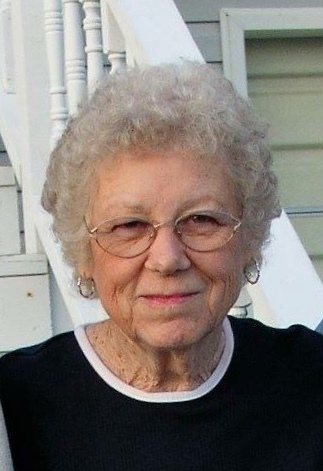 Banolia Barwick Howard, 92, of Wilson passed away on Sunday, August 12, 2018 at Wilson Pines. She was a charter member of Rivermont Presbyterian Church. She was preceded in death by her husband, Arnold Howard; parents, Junius and Gabrilla Barwick; five sisters, Lela Barwick, Janie Rhodes, Martha Cauley, Mary Lee and Gabrilla Sutton; and eight brothers, Jim Barwick, Walter Barwick, Junius Barwick, Plato Barwick, Hillary Barwick, Clyde Barwick, Kirl Barwick, Hallie Jaye Barwick. Banolia is survived by her daughter, Brilla Wiggins and husband Bill of Wilson; son, Preston Howard and wife Joyce of Elm City; grandchildren, Robbie Kelley and wife Cassie, Nikki Nichols and husband Jason, Ginny Holloman and husband Blake, Maggie Krietzer and husband Tommy and eight great grandchildren.